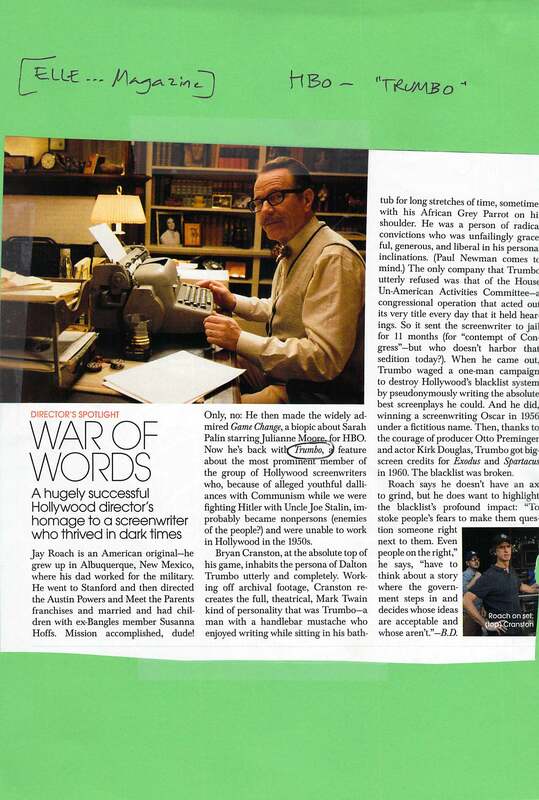 Producer Jay Roach, who directed “Austin Powers” and “Meet the Parents” — now turns his attention to “TRUMBO”. A Holllywood screenwriter who is played by Bryan Cranston … and utterly refused to sell out to the House Un-American Activities Committee in the 50’s. I’m going to look out for the show on HBO….. and of course, the typewriter caught my interest right away.